Gary, do you have a Sanborn showing those two houses? I'm having trouble reconciling the photos with the Sanborn posted on Monday, which shows Watts intersecting Club from the south, but "not opened" from the north. Today's photos instead appear to show a road intersecting Club from the north (and apparently traveled, if the tire marks on the pavement are any indication) but no continuation to the south of Club. Any idea why this might be? I realize I actually took the after photo a bit too far to the west - I should have taken it a short block further to the east, at Watts - you can see the Watts intersection by the Northgate sign. It appears on the Sanborn that the intersection with Watts existed to the north, although unopened beyond a point. 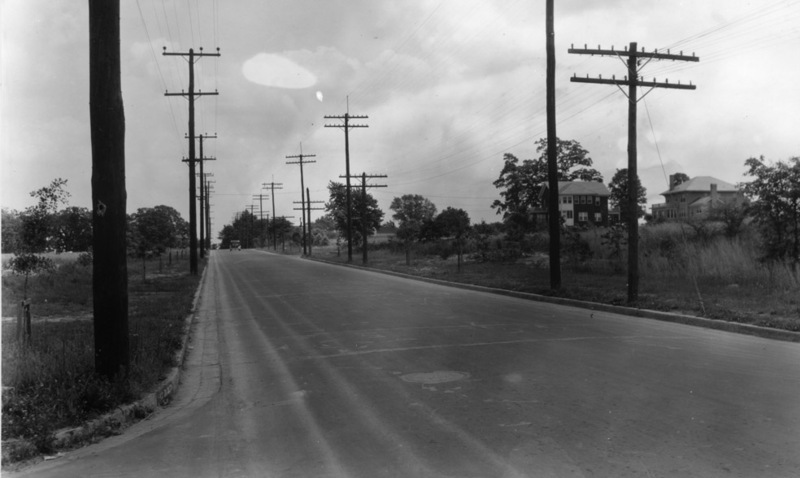 Not sure about the the south - it could just be the angle of the picture, or perhaps that section of Watts opened between 1931 and 1937, with the previous northbound traffic heading up the curve of Guess Road. The two houses are still standing on Gregson. Ah, that explains it: I was trying to locate those houses on Dollar Ave. Interesting that there are telephone poles on BOTH sides of the street. Does anyone know if that was customary back then and if so, why? Is one set of polls perhaps power and the other telephone? "Club Blvd. 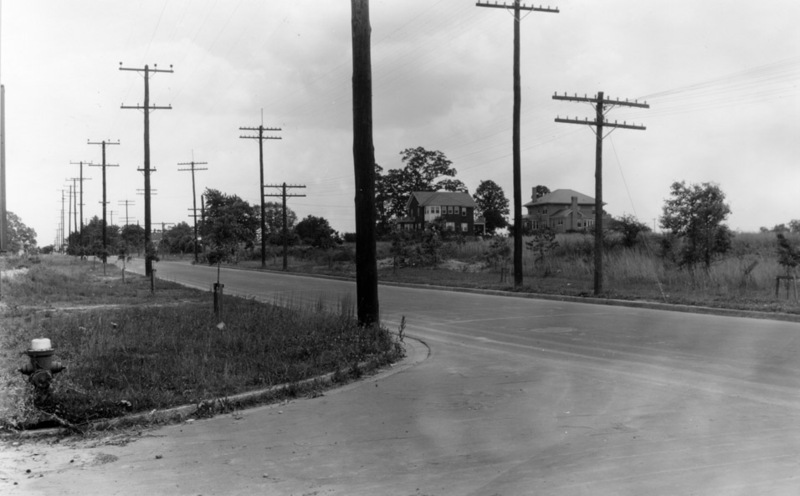 east from Watts St., May 1931."